We offer professional I.T. & computer related services throughout Essex with competitive prices. For nearly two decades of trading and many more in experience, you will struggle to find a more reliable company to assist with all of your I.T needs. Uniquely, we have an in-house team of engineers who will also come out to your business or home and help you. Jobs booked into our workshops generally fall under the £25 + VAT minimum charge. If the job requires any extra parts or labour, we will quote you first before carrying out any work that may carry additional costs. We recommend whenever possible, to have machines brought to one of our workshops to run any necessary tweaks, speeding it up as much as possible and ensuring that everything is up to date before we return the machine. The benefit of this is non-manned job such as testing, scans, updates etc mean you will not be charged for these time periods. We offer remote support, this means that should you encounter a problem with your computer, we can login* remotely, carry out a suitable fix on it without having to book an engineer to come out to your premises. If an engineer is called out to you and should they decide that the job needs more in depth investigation, we can bring the hardware back to our premises with your permission, to carry out the required repairs and return it back to yourself upon completion. If you have any enquiries, please call us on 01245 426163. *A live Internet connection is required and the machine must be connected to the internet. At Ahead4 our on-site engineers and cloud services are available all over the UK, and many projects overseas. 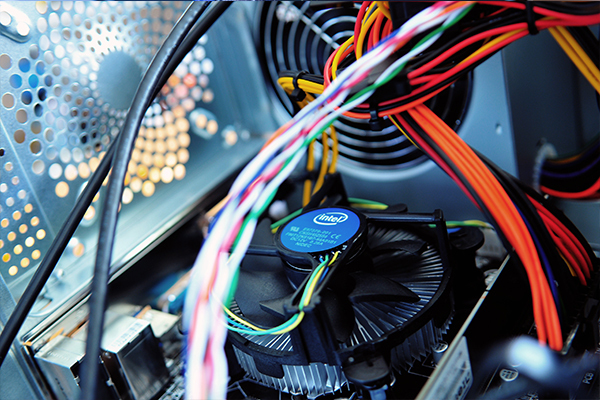 We have a particular dense coverage supporting I.t in Essex, also with shops based in both Wickford and South Woodham we also supply a local repair centre to surrounding areas. To give you an idea we operate daily in the following areas; Basildon, Maldon Burnham on Crouch, Latchingdon, Danbury, Brentwood, Rayleigh, Hockley, Rochford, Southend-on-Sea, Billericay, Stanford-le-Hope, Benfleet and many more. We hope this gives you an idea, no matter where you are in Essex, we are here to help. We care about our customers and understand it’s not always easy to bring your hardware into us, so let us come to you. Can’t make it to a workshop? Don’t worry, we can login remotely to troubleshoot your PC woes. Network issues? printer playing up? We have on-site engineers covering Essex and London ready to come to your aid. We offer a range of offsite backup solutions based on your circumstances. This is a must have for any business. Computer slow? Blue screens? With nearly two decades of experience and staff with many more, we’ll get you up and running again. Need a server setup and configured with a specific OS? Having trouble with CAD? We can help. Prevent yourself from recieving unuseful or malicious emails with Ahead4 Anti-Spam.